The man behind Dim Mak Records who founded and released artists from Bloc Party, The Kills, Klaxons, MSTRKRFT, The Bloody Beetroots, Mystery Jets, The Rakes, The Gossip, Envy, also is the same man behind the production moniker Weird Science that has remixed Peaches, Snoop Dogg & Bloc Party. 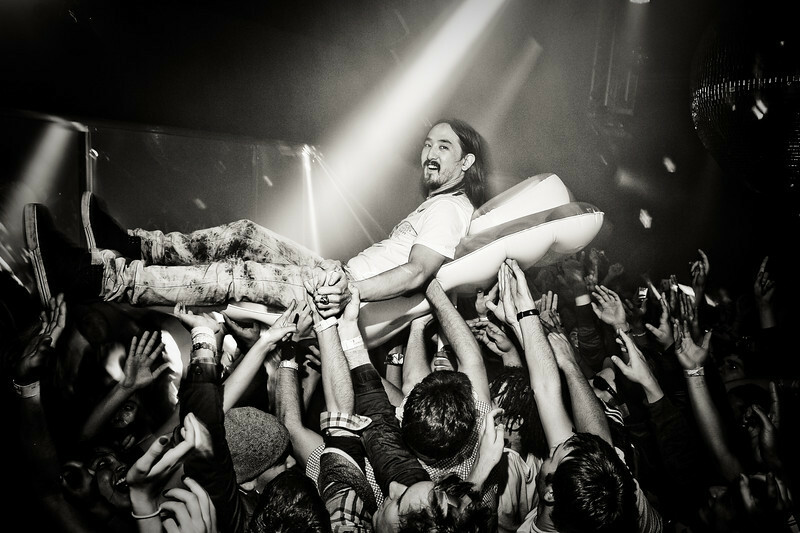 Under his own name, Aoki has remixed The Killers, Robin Thicke, Lenny Kravitz, Duran Duran and Timbaland, Chester French, S.P.A., All American Rejects, Chris Cornell & more. In the past he has collaborated w/artists from Boys Noize, The Faint, D.i.M., The Bloody Beetroots, & Junkie Xl. Also involved in fashion, Aoki has developed lines for KR3W Apparel, Supra Footwear, headphones for WESC, and in ‘09 sunglasses with KSUBI, headwear with NEFF, bags with Burton, & a brand new mens/women’s range with his sister Devon. Check out http://www.dimmakcollection.com to buy tee shirts & hoodies and read on his blog on here that he keeps up to date. Hailing from Los Angeles you can check most of his antics up on his partner in crime’s website http://www.TheCobrasnake.com.